One of our mirrors in Fossil finish can be seen suspended behind the bath of this gorgeous bathroom, featured in the December issue of Living Etc magazine. 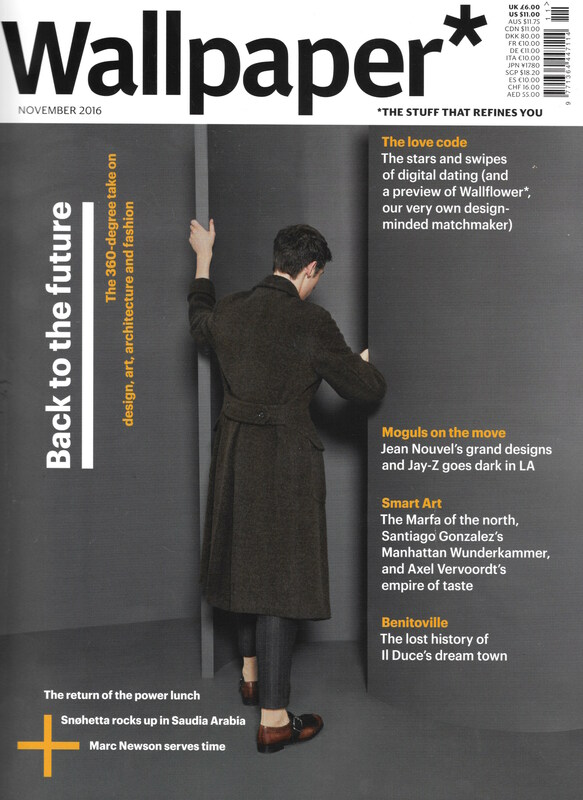 Wallpaper* magazine has used a Verre Eglomisé panel in 23.5 carat Gold, made in our studio, in their November 2016 issue. We always love Wallpaper's take on contemporary interiors but this black and gold space is especially stunning. 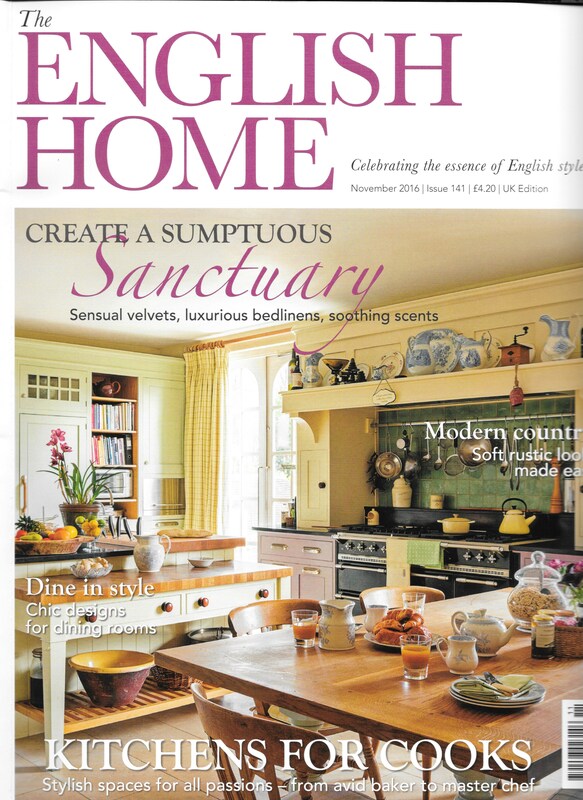 The English Home has included Dominic on their 'People' page in the November issue in a brief resume of Dominic's journey to creating the finest hand-finished antiqued mirror. 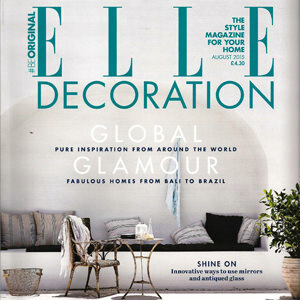 Elle Decoration has run an interesting article on antiqued mirror and how to use this luxurious finish around the home. Simple yet contemporary, this framed mirror in Medium Mercury antiqued finish brings a strong focal point to a drawing room in Richmond. 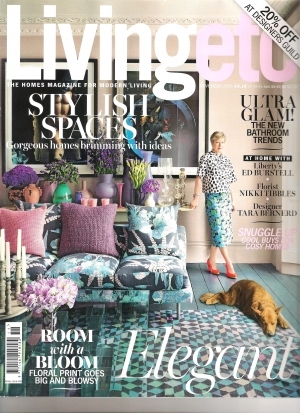 'Groovy Lady', who was unveiled at Decorex, has featured in the latest issue of Living Etc. In a 'Monochrome Twist' trends feature styled by Marianne Cotterill, the mixed media work (print with antiqued mirror) uses photography by Charles Ommanney and hand-finished, antiqued mirror and pewter-finish frame by Dominic Schuster. 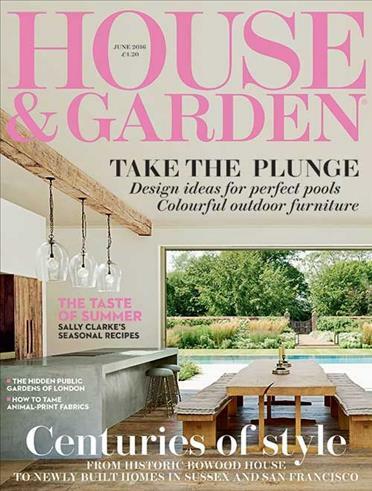 As seen in the May issue of Living Etc, this south London townhouse was interior designed by Leila Latchin. The bathroom mirror has been cleverly aged to create more foxing around the sides and top of the mirror, and clearer above the basins. 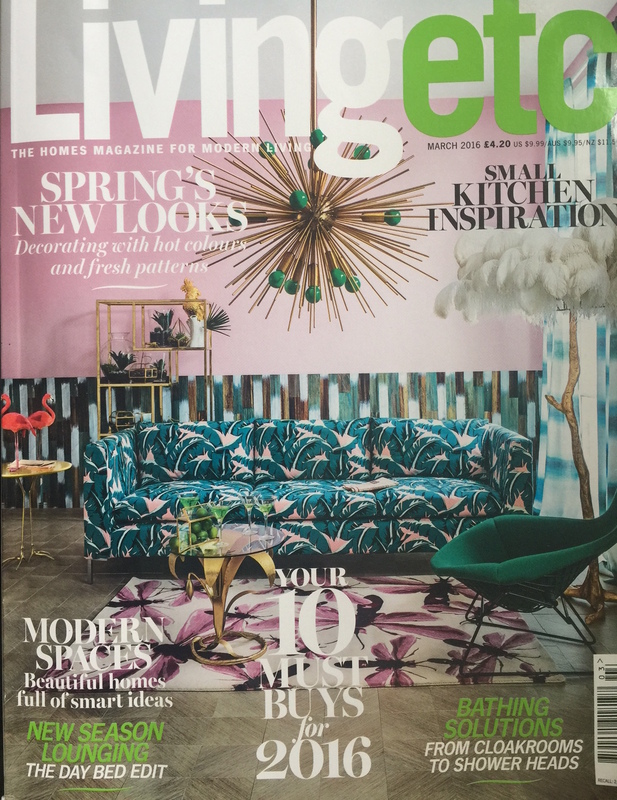 We've had a lovely mention in the May 2016 issue of Living Etc, where our mirrors in BP1 Old Bronze can be seen lending glamour to the island unit and across a living plant wall in the kitchen of a north London mews house. The project was completed by interior designer Jo Berryman. Our mirrors in Old Bronze finish were included in a feature on home cinema rooms in last weekend's Sunday Times Home section. 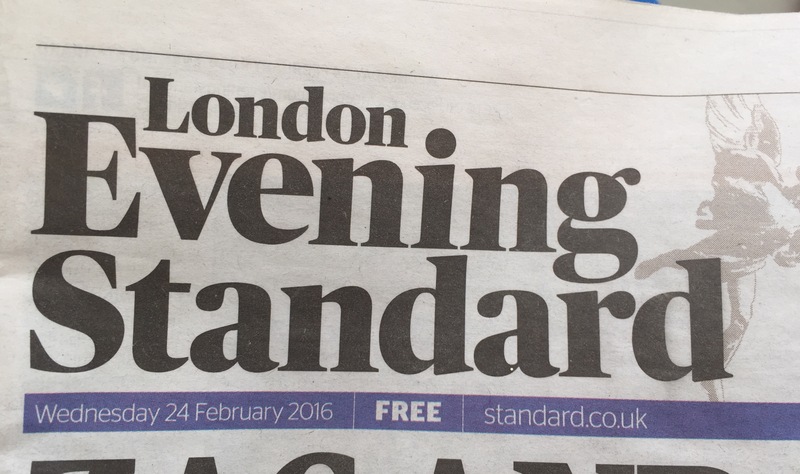 The home of interior designer Jo Berryman was featured in the Homes & Property section of the London Evening Standard. Our studio worked with Jo to create the glorious Verre Eglomise kitchen spashbacks in 23.5 carat Gold leaf. 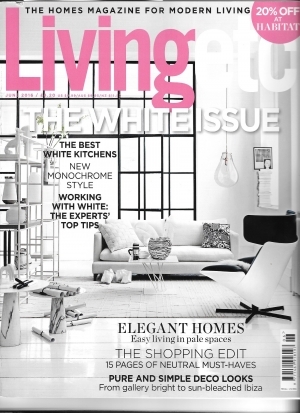 We've had a lovely mention in the new issue of Living Etc as part of a feature on interior designer Jo Berryman's property. Our Verre Eglomise in 23.5 Carat Gold Leaf truly shines out. 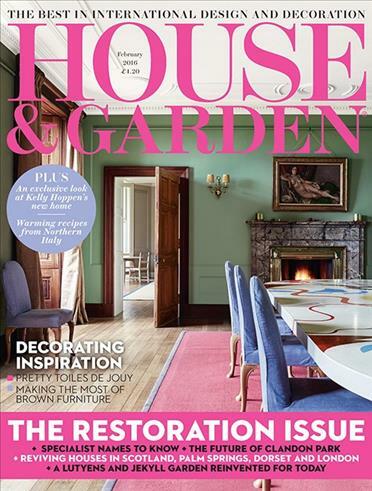 Houseandgarden.co.uk have run a profile of Dominic's work and his studio as part of this month's Restoration Issue. 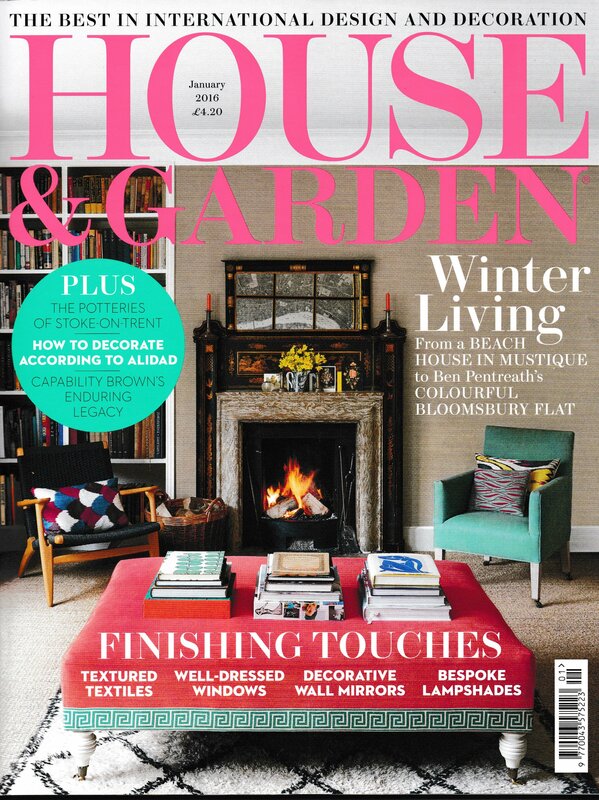 Our timber-framed convex mirror in Silver-Leaf Verre Eglomise has been featured in the Insider section of the January 2016 issue of House & Garden. 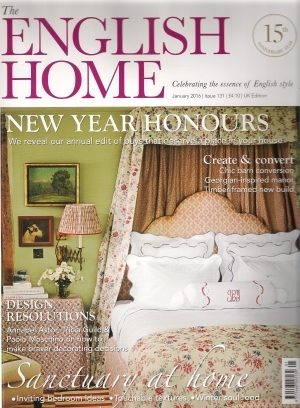 The English Home have run a feature on how the clever use of mirror glass can transform a home in the January 2016 issue. 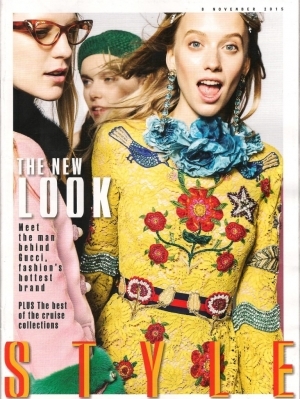 Our Verre Eglomise can be seen used for a kitchen splashback in the Sunday Times Style on 8th November; a contemporary and original way of using this traditional process of gilding glass. 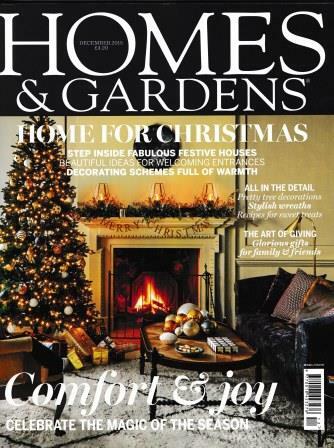 A panelled overmantel mirror in Copper Peach and Silver with DS3 Old Silver finish was included in a 'Eucalyptus and Rose Gold' shoot for the December issue of Homes & Gardens magazine. 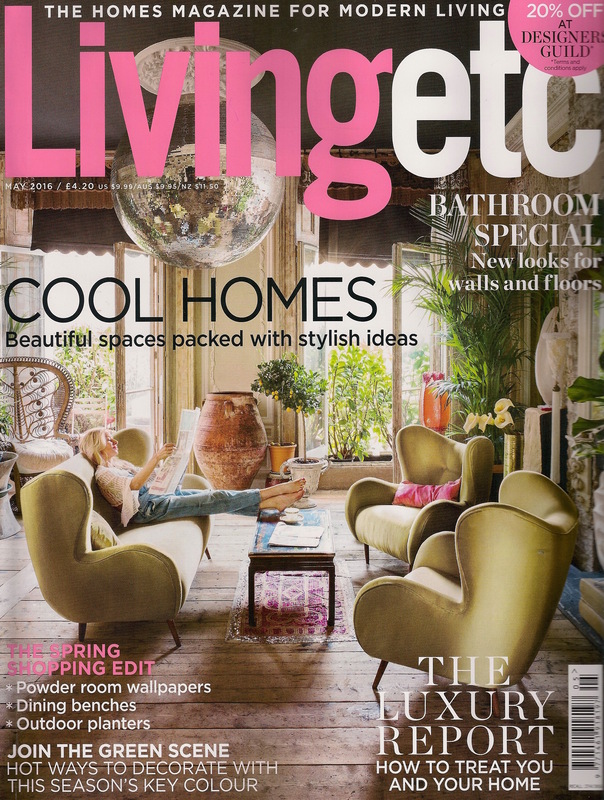 Dominic Schuster's bevelled antiqued mirror tiles are featured in the November issue of Living Etc. Our tiles are also available in colour-tinted glass and mirror and are made to any size. 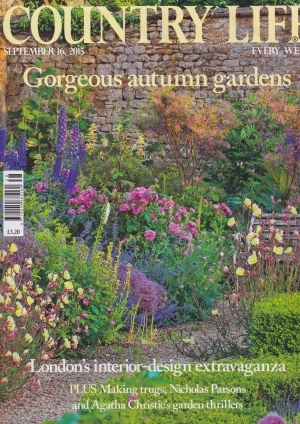 Interior Designer and Decorex International patron, Guy Goodfellow mentioned Dominic Schuster as one of his 'must-see' stands at this year's Decorex International in this week's issue of Country Life magazine. 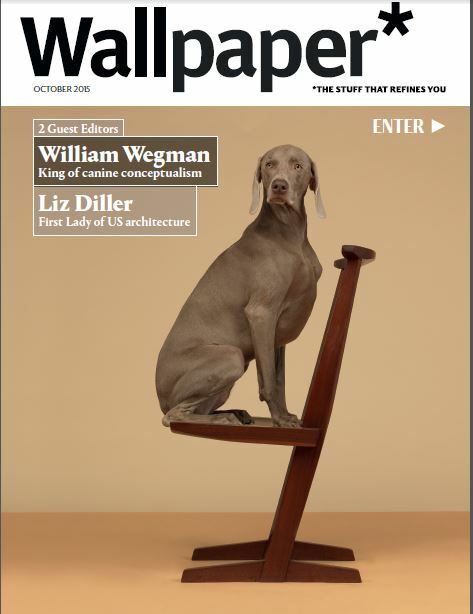 Wallpaper* magazine features Dominic Schuster's antiqued mirrors in Heavy Mercury in the Smallpaper* design section of the October issue. We think they look particularly stunning against and reflecting the terracotta shade of the Terre d'Egypte paint by Farrow & Ball. 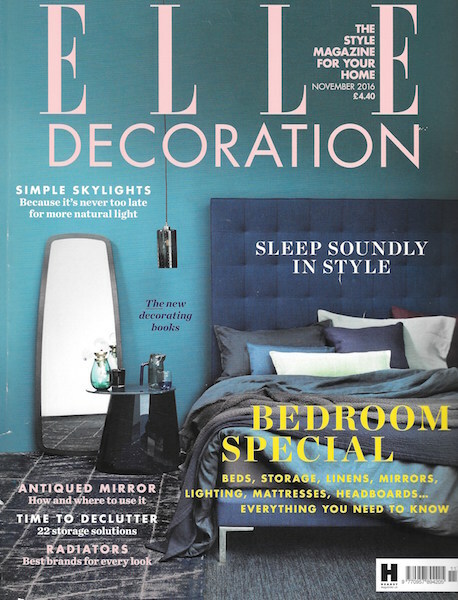 A selection of our antiqued, colour-tinted and Verre Eglomise mirrors was featured in the August 2015 issue of Elle Decoration in the 'Distress to Impress' feature. Mirrors shown are the 'Sky Blue' in Fossil finish, Copper Peach Verre Eglomise, Fossil Old Gold and Fossil.